We're continuing our partnership with Adobe Stock to bring one lucky winner of this drawing challenge a free year of Adobe Creative Cloud. In contrast with the Mother Nature Drawing Challenge, we're taking a turn toward the inspiring nature of man-made structures. For the Urban Explorer Drawing Challenge, we'll focus on illustrating cityscapes, houses, architecture, or other urban settings that are too perfect to pass up. There's a fascinating beauty to discovering hidden details in buildings, towering skyscrapers, and bustling city streets. Or perhaps what really drives your inspiration is the calming sense of security that washes over when you pull up to your childhood home. Regardless of whether you're a city-dweller or a home-body, now is your chance to appreciate the structures that excite you most in the form of your own unique illustration. Any sort of buildings, cityscapes, houses, or other structures will do. On your marks...get set...DOODLE! 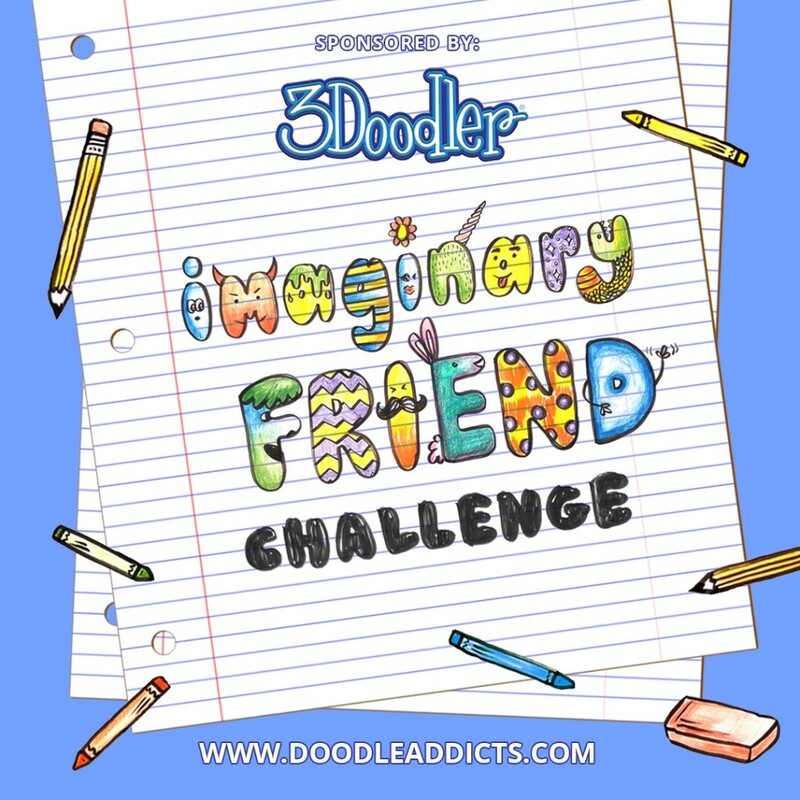 * This challenge is Part 2/3 of the Doodle Addicts x Adobe Stock Partnership. Participate in all three for a chance to win the Grand Prize Pack! Adobe Stock is a global marketplace that gives creatives the opportunity to market and sell their best work, and be rewarded for their creativity. Adobe Stock is seamlessly integrated into Adobe’s desktop apps, including Illustrator CC, Photoshop CC, and Premiere Pro CC, so buyers can search, browse, and license assets from Stock directly within the applications. Our native integrations also allow our contributors to easily and effortlessly submit content from Lightroom CC, Bridge CC, and Adobe Photoshop Mix on iOS. As a part of Adobe, Adobe Stock is more than just a content distributor – we believe in being a true partner to our contributors, providing the tools and support to help them be successful. These little cottages are to be found in a tiny village called Elim in the Western Cape, near the southern most tip of Africa. The cat and catfish explorers are only visitors. Sketched on IPAD "city night"
When visiting London last week, my kids wanted to go to Westfield mall. I didn’t..They won. So I spend my time sitting having coffee, a beer, more coffee, for 3 hours. And I took some pictures, like this from the top floor by the cinema. Felt like drawing my view with some disturbing plants, because of the lack of plants in the mall. LOOK UP! Often, as we stroll through beautiful cities (Hamburg, Germany - in this case! ), we get caught up with admiring just that we see on our eye-level. Sometimes, we look down. But looking up? As I observe people around me, I feel like it's not as popular a destination for our gaze! DO LOOK UP! Don't you see the patterns? The shapes, which so unexpectedly interact, be it because of different architects' visions inevitably interacting, or be it through much-needed, quick adjustments... LOOKING UP UNVEILS UNUSUAL COMPOSITIONS. So give it a try when you're out, exploring urban spots. There's always more to notice than we think! Here's my urban setting that I did in watercolor. Corner of Church and Trade Streets in Charlotte, NC. Sketched from a photo I took during a photowalk with my sister. The sun casted a warm glow on the white and dull gray buildings bringing the scene to life. We Love LA! Los Angeles is the perfect city for exploring tree lined streets, restaurants, shops and finding the excitement of Urban living. Of course, parking is the place to begin! Mediums used to depict LA are pen and ink, watercolor, colored pencils and brush markers. This is the Dominion building in Vancouver, one of my favourite in this city. The Glass House at Chihuly Garden and Glass. What if there was more tree than concrete? Cute houses in Portree, Isle of Skye, Scotland. Doodle with ink and watercolour paints. when berlin international congress Center locked its doors it even locked the grids to the drive in of the lowered parking lot. Garbage bags lie in front of. Backs in dark warm jackets lean against the balustrades, corresponding heads facing the street level parking. City Art - Chicago I have been playing with art for a few cities. Chicago offers a lot of fun experiences. I am trying to capture that experience in a simple, clean collage look (for use on mugs and tees). My 'go to' illustration style is much more whimsical than this so it was fun to try something different. A drawing of a run-down fantasy house. Made with fineliners and edited on the computer afterwards. A reinterpretation of japanese streets through my eyes. Alley Cats We came across this cool cat art exhibit while on a food tour in downtown Denver. The beautiful Sistine Chapel, from outside. "94 Under" This is an original acrylic painting on canvas depicting Chicago's interstate 90/94 underwater. The only reason I’m ever in the city......is it 2 o clock yet???? Urban city explorer. I drew a little bit of me in it. Part of the series "Notes from NYC" featuring one of my favorite urban parks - The Highline. 'Oh how wonderful life would be, if I had my own little house in a tree' Blackberry Wood, Essex. I loved this challenge! I thought I would draw my favourite building....a treehouse! You can actually stay in this one! I am a countryside girl and just love the textures and detail in the wood and how its been put together in keeping with the environment. Brilliant bit of architecture I think. This is the structure that excites me! Created using traditional watercolor and digital line art/embellishments. My drawing is about the beauty of nature filled with green and other calming colors. Love and peace ! Reminds me of the old days ! Mr and Mrs Geoff (Catslides) Mr and Mrs Geoff live in my street, they are tortured by the local cat community as cat slides.... Drawn by hand - colour with brush markers - composed in Illustrator... my house in background grade two listed building in North East of England. After moving every year for ten years this is the first street I've been able to call home. I'm going on three years living on this street and I still love it as much as the day I moved in. „The only way in up!“ it’s an ink and color pencil drawing on paper ca 30x45cm in size. I tend to draw portraits and wildlife. But I thought I'd get out of my comfort zone. I was tempted to add color. But I like to concentrate on line work. This piece is called “Support and Taxation.” It represents the fickle relationship between the government in America and the people. The support they give us that we take for granted while also keeping a close eye and taking our hard earned money. This is just a little illustrated sample of the sites that I grew up looking at. They are huge neighbourhoods called “barrios” and my home town Caracas is completely filled with them. When I came across this challenge I thought of them and all the visual textures they generate. It’s funny that something that looks so interesting and full of colours and textures can be so chaotic and dangerous. I drew this in honour of all the people struggling back home in Venezuela, where there’s no food or medicine. I want to give them hope! Wonky lamp, steep hill, Lincoln. Doodle City. Pen and Sharpie. This is a painting of a house in Guatemala City. In this city you can't have a clean look at every house as an individual piece of art because of all the parking, cables and trash. I decided to create a project where I can paint houses from my city without any other visual distraction. Here, in Guatemala, is a challenge to get outside and draw because of the violence. So, for me, this was a invitation to get the courage to get outside and have a new relationship with my city. Collage created with Photoshop. Imaginative Tong Lau (old residential building block in Hong Kong) in the front is juxtaposed with modern skyscrapers at the back to illustrate the conflicts between new and old in time of change. I've been living in Prague for the past 9 years and this city never stops amazing me. Its cosy, curvy streets are full of history, its stones are centuries old and keep lots of secrets. Medieval architecture is a neighbour of noble baroque, and exquisite Art Nouveau buildings share space with cubistic and futuristic ones. It's full of textures, symbols, hidden meanings. It's build on hills, it's split in half by river and connected again by many bridges. I love this city with all my heart. Architecture is fun. Watercolour, Sakura Gelly Roll pens, Sakura brush pens and fineliners. This is my Urban Explorer. A cyclist riding the suburbs of a scary city. Monsters, rats and some other creatures are around him. Panic! A current view of an old warehouse home to the Holloway Company, a hardware store, located deep in East Austin on Pedernales St. Many similar old buildings in this area are being torn down and replaced with condo and apartment developments as gentrification takes over more and more blocks. This one remains untouched with beautiful typography and character. On highway 395 in the California desert, there is an abandoned soda ash plant rusting away in the harsh desert sun. For most, it is merely a blurred mirage as they zip by to bigger and better places, but venture unto the tin silos and you will hear echoes of the long dead past. Oil on canvas. My dream mid-mod house from my childhood neighborhood. Drawn with ballpoint pen on paper, and colored in Adobe Photoshop Elements. Blue can be the warmest colour. This illustration figures one of the prettiest places i've seen - A blue house store located on the streets of Japan, accompanied with a pink sunset and a cinematic, almost neon light. Watercolor painted on Main street of Huntington Beach. 26x21 sm. Instead of using the urban cityscape itself as the "jungle", I wanted to have a little hidden jungle (AKA greenhouse) tucked away in the busy city. The dull, drab colors of the city are broken up by the green, fresh plants in the city's greenhouse! This is my town! The old and the new. It's so charming.